Tablet War is still continuing. 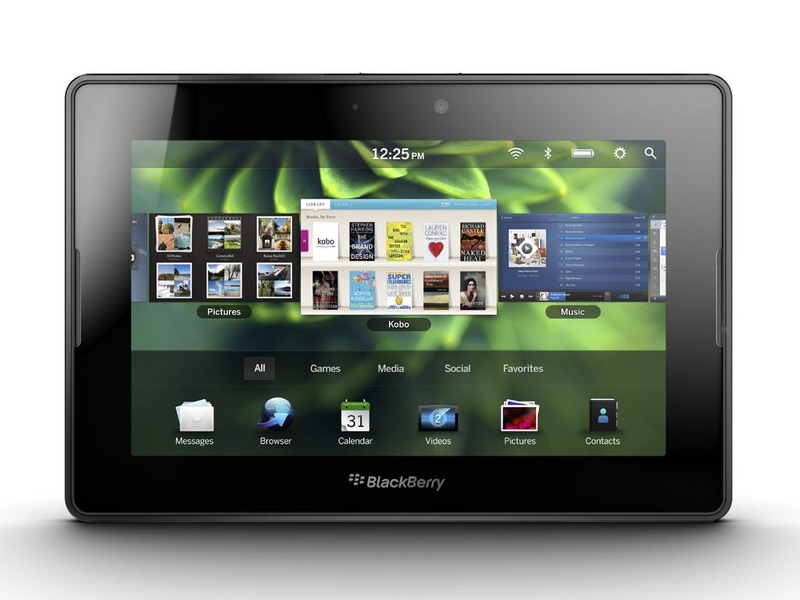 RIM BlackBerry PlayBook has also been available for pre-order. Want a tablet running BlackBerry Tablet OS with symmetric multiprocessing? PlayBook is the only choice. BlackBerry PlayBook measures 130 x 194 x 10mm, and weights 425g. Similar with most of main-stream tablets, PlayBook comes with a 7-inch multi-touch display with 1024 x 600 pixels resolution. And the BlackBerry tablet features 1GHz dual-core processor, 1GB RAM and up to 64GB of built-in storage capacity (the other options including 16GB, 32GB and 32GB), and 5-megapixel front-facing camera and 3-megapixel rear camera for video chat. And same as other some tablets, it also comes with built-in stereo speakers and microphones, 1080p HDMI output, built-in GPS, accelerometer, 6-axis gyroscope, and digital compass. Apart from that, PlayBook supports Wi-Fi (802.11 a/b/g/n) connectivity and Bluetooth 2.1+EDR. 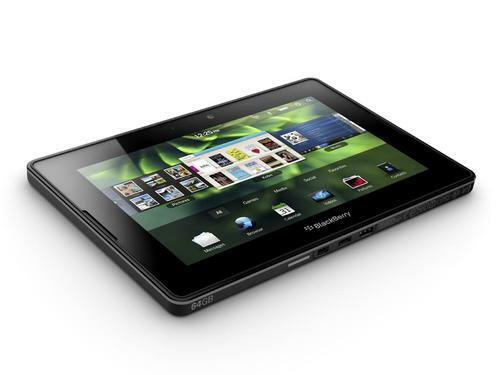 RIM BlackBerry PlayBook with 16GB is priced at $499 USD, while other two’s price tags are $599 and $699 USD. At present, Best Buy and Future Shop have started accepting the pre-orders of the BlackBerry tablet. If you’re interested, jump to Best Buy or Future Shop for more details. vEry BrillIant Tab & Mob.. So i Like it this year all m & t vry mch.